Cheap Accommodation alternatives to Staying in a hostel. 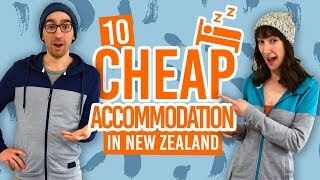 You’ve heard a thousand times that staying in a hostel is the cheapest accommodation while travelling New Zealand. But what if you don’t want to share a hostel dorm with a bunch or snoring strangers? Never fear, there are heaps of alternatives to hostels in New Zealand that will still make your trip affordable! Even if you totally dig hostels but you just want a break, then try out these other options for cheap accommodation. We’ve made this list with privacy in mind, as well as some experiences to stay with the locals. Opening your mind to alternative accommodation will present you with some awesome different experiences from meeting different kinds of people to the usual hostel crowd, and even have you doing some fun jobs if you are working for accommodation! Of course, we have loads of information on the subject so take a look at our Accommodation and Work for Accommodation sections to get inspired for alternatives to hostels. One of the great ways to avoid staying in hostels while getting, well, free accommodation is through couch surfing. Their are some kind individuals out there who offer a free bed or a free couch to sleep on in their home, usually because the host has travelled the world themselves and understands the importance of cheap accommodation. The most popular resource for couch surfing in New Zealand is the Couchsurfing.com. 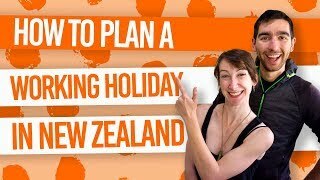 Be sure to check out Couchsurfing in New Zealand and 8 Safety Tips for Couchsurfing in New Zealand before you do your first couch surfing experience. We know what you’re thinking: hotels and motels are more expensive than hostels! Well, yes, if you look at the four to five-star hotels, they are expensive. Budget hotels and hostels, on the other hand, have private rooms which are usually around the same price as a private room in a hostel. So if you are wanting to avoid hostels to have some of your own space, look into hotels and motels. For more information, check out Staying in a Private Room: Hostel, Motel or Hotel? On the same note as the point above, if having your own space is the thing that deters you from staying in a hostel, then did you know that all hostels have private rooms? In most cases, private rooms are double rooms, which is a go-to option for couples. However, if you are by yourself, paying for a double room is like paying more than double the price of a bed in a dorm. Solo backpackers may want to look into private rooms in hotels and motels in this case. Again, the Staying in a Private Room: Hostel, Motel or Hotel? will solve this conundrum. An awesome alternative to hostels is staying in a campervan. Not only can you use your campervan to get to all those off-the-beaten track places, but a campervan is your own private accommodation. There are many campervans for one or two people for sale across the country, as this is an extremely popular way to get around. Find out more in Where to Buy a Backpacker Vehicle in New Zealand. The amount of campervan rental companies is huge in New Zealand too, so you can rent something from one to about 10 people! Check out What is the Best Type of Vehicle to Rent in New Zealand? so you can make an informed decision. Staying with the locals is a great alternative to hostels. Airbnb connects people with a “spare room” with travellers. There are a lot of budget options on the platform, almost always giving you a private room while usually sharing other facilities with the homeowners. Find out more in Everything You Need to Know About Airbnb in New Zealand. Plus, here’s a NZ$50 voucher toward your first stay with Airbnb. WWOOFing is the ultimate backpacker activity. If you haven’t already given it a go yet, well now’s the time! WWOOFing is a form of working for accommodation and food, usually through doing farm work but other jobs are out there. We have a whole guide to WWOOFing in Everything You Need to Know About WWOOFing in New Zealand, plus more helpful advice on How to Create a WWOOF Profile That Hosts Can’t Refuse! When Kiwis go away on holiday, they need backpackers like yourself to look after their beloved pets and keep the house in tip top shape! In exchange, you get to stay in their house for free, which is a great alternative to hostels if looking for accommodation for a week or more. We list house sitting agencies and more information on How to Find Work for Accommodation in New Zealand. If you are looking for longer-term accommodation, perhaps because you have found a job, then renting a room is a house or flat tends to be a cheaper alternative to hostels. Follow our advice on 6 Resources to Find a Room to Rent in New Zealand and Find a Flat in New Zealand. Got a tent or a cosy car to sleep in? Then camping can be an extremely affordable alternative to hostels in New Zealand. There are hundreds of campsites and holiday parks across New Zealand where you can pitch a tent for the night, while using their shared facilities. Find out more in Camping in New Zealand and well as Where to Buy Camping and Hiking Gear in New Zealand? This one is usually for those lucky travellers who have a home to exchange. Home Exchange is when you exchange your home with another family’s home for a set amount of time. Find out more information on the homeexchange.com.